Casey Kurtz | Littler Mendelson P.C. 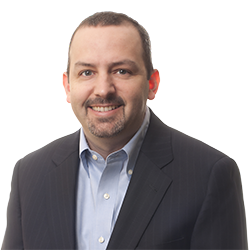 In his traditional labor law practice, Casey represents companies in arbitrations, collective bargaining negotiations, union organizational campaigns and in various proceedings before the National Labor Relations Board. He conducts in-house training sessions to help employers avoid employment-related liability. Casey most often works with clients in the following industries: retail, healthcare, higher education, manufacturing and transportation. Casey is a frequent speaker on various labor and employment law topics before human resources professionals and other business groups. In law school, he was a managing editor of the University of Pittsburgh Law Review. Dear Littler: Is an Extended Leave of Absence a Reasonable Accommodation Required by the ADA? © 2019 Littler Mendelson P.C. Littler Mendelson is part of the international legal practice Littler Global which operates worldwide through a number of separate legal entities. Attorney Advertising.